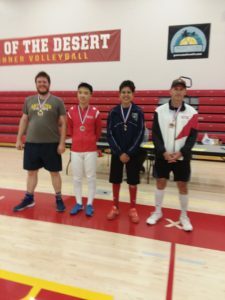 Epee (l-r): 1st, Sean Horan, (UCI Fencing), 2nd, Christopher Kim, (Swords), 3rd, Gustavo Chavarin, (Battle Born Fencing), 3rd, Creston Bailey, (No Fear). Sean also earned his B18 rating! 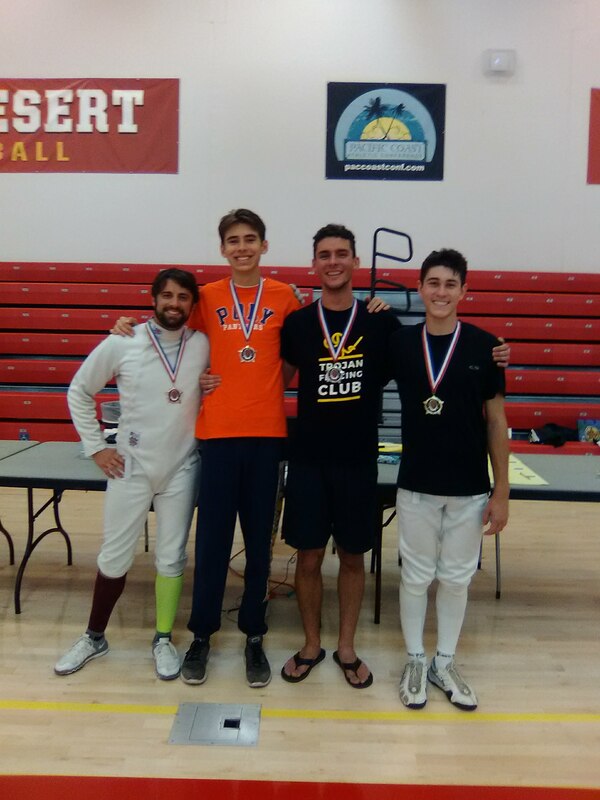 Foil (l-r): Braden Shahani-Wiegand, (Southwest Fencing Club), 3rd, Yale Siegel, (Polytechnic), 2nd, Pavle Medvidovic, (USC), 1st, Alexander Nakamura, (Team Touche), and earning his E18 rating! 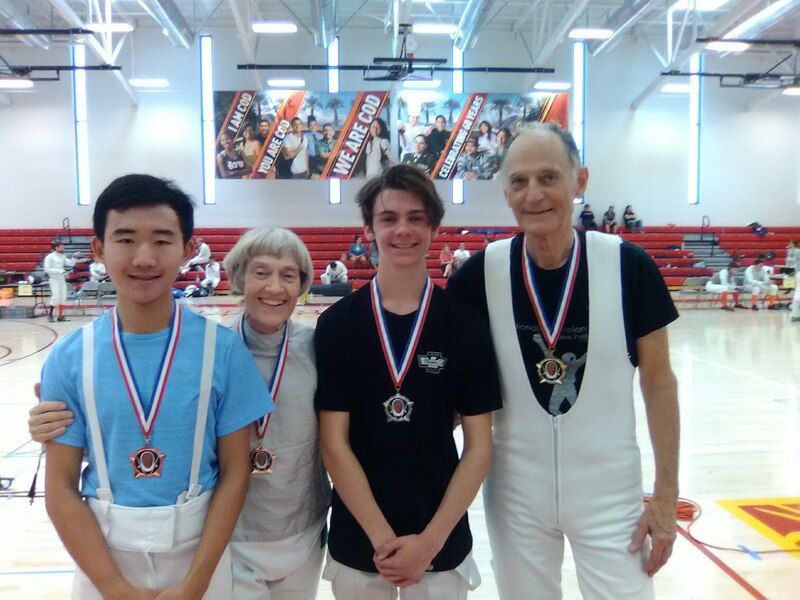 Saber (l-r): 3rd place, Ian Kim, (Polytechnic), 3rd, Leslie Taft, (Desert Fencing Academy), 2nd, Ian Maskiewicz, (Desert Fencing Academy), 1st, Costa Nichols, (Desert Fencing Academy).